It is not too late for a balloon ride AZ! Even though we are at full capacity for a Valentines balloon ride. We are extending your option. We are running a gift certificate special. Reserve a table for a gourmet dinner for your special loved one over romantic candle light dinner. Then you can give them a hot air balloon ride certificate in Glendale Arizona. 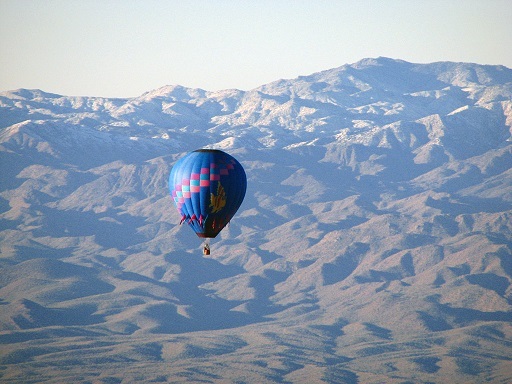 They will forever remember your gift of a balloon ride over the beautiful AZ area. As your loved ones eyes sparkles over the candle light and the smile they will give you when you present them a balloon ride certificate for two on Valentines day will be a smile you will never forget. Our balloon rides in AZ are not only scenic, but memorable. We fly south of the majestic Bradshaw mountains, contouring the mountains so you can get up close photos of the flowers and fauna that live year round in the harsh desert environment. If they are the adventurous type, love the outdoors, or if its just someone that is hard to find something to buy for. A hot air balloon ride in AZ is one they will never forget. All of our flight are about an hour to an hour and a half in the air and when we touch down, we set up the linen tables and glass stemware. As you are enjoying you champagne mimosas you will learn about the history of ballooning and why champagne is more than a 200 year tradition in hot air balloons. Post flight ceremony also includes a certificate of flight. This is so when you get home, you have a real bragging right and proof to show the family. A balloon ride in AZ is one you will never forget. With our consistent lush weather we fly over 340 flights a year here! Arizona is truly the best place in the world to take a flight. If you are local or you are visiting, get out and see what the beautiful Arizona has to offer, and you will never be disappointed. When you call mention the Valentines day Gift certificate special balloon ride in AZ, and you will get the 155.00 certificate special rate. Thats 40.00 per person off! This special will only run until February 13th 2016 end of business day. We look forward to sharing a AZ balloon ride memory of a lifetime with you! Are fully transferable, and you can give them as a gift.